Each child will receive a Whole Child Assessment that will be progress with them through their time at Milestones. This tool allows our teachers to understand each child’s individual progress and tailor lessons to their specific needs. We monitor and report the academic, social and emotional growth of all the children under our care. Circle time starts the day off by giving children the opportunity to learn in all areas of development. Children listen to a story, learn who is present and absent, discuss the daily schedule, weather, day of the week and upcoming activities. We discuss special happenings in their lives, find out about new materials in the classroom, sing songs and participate in movement activities. During circle time, children are experiencing important Social Studies, Math and Language concepts as they learn how to take turns speaking, respect the rights of others, and understand relationships and problem solve. When children have opportunities to share their thoughts and ideas in a safe and encouraging environment, they begin to learn that they are valued members of a group, which in turn builds confidence in young children. We provide ways for children to express and understand their feelings through communication, problem solving and learning to express their feelings and foster empathy for one another. Dancing, stretching, active games, and movement activities meet the physical needs of growing children. These activities break up the day and allow children to “get the wiggles out”. Weather permitting, children enjoy our outside play areas twice a day, morning and afternoon for 30-45 minutes. Our program combines productive playtime with class lessons to facilitate the cognitive development of children under our care. We encourage children to explore, use their imagination, create, use dance and music and social interactions, all which provide different modalities of learning. Music instruction accelerates brain development in young children, particularly in the areas of the brain responsible for processing sound, language development, speech perception and reading skills. Listening to and making music is not only an auditory experience, but it is a multisensory and motor experience. Studies have shown children hearing music by participating in a program over a long period of time can changes their brain function and brain structure before age 3. Receptive Language is the understanding of language input including words and gestures. Our teachers focus on these skills by offering a language rich program in each area of our curriculum. Our infant classroom is very language rich and musically based. 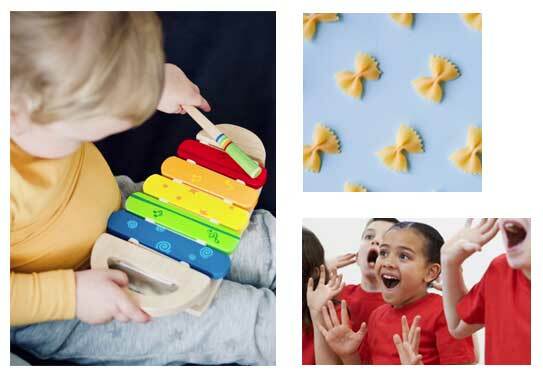 We provide our babies and preschoolers with many rhythmic and sensory stimulating activities. At Milestones we believe in taking a holistic approach to childcare and education and we pride ourselves in helping your children develop as well-rounded individuals. Our programs are designed to encourage children to stay active and healthy. Small class sizes allow our teachers to provide personal attention to every child. Our open rooms create a welcoming atmosphere in which children will not only learn and grow but participate in enrichment programs. We provide a variety of opportunities that promote brain- based enrichment, physical fitness and a healthy lifestyle such as Dance including Hip Hop, Jazz and Zumba. In addition, we offer Gymnastics, Music, Taekwondo, Cooking and S.T.E.A.M. We take your child’s overall development as serious as you do. It is our priority that we have a well- rounded program that provides education, love and most importantly fun while you are working.